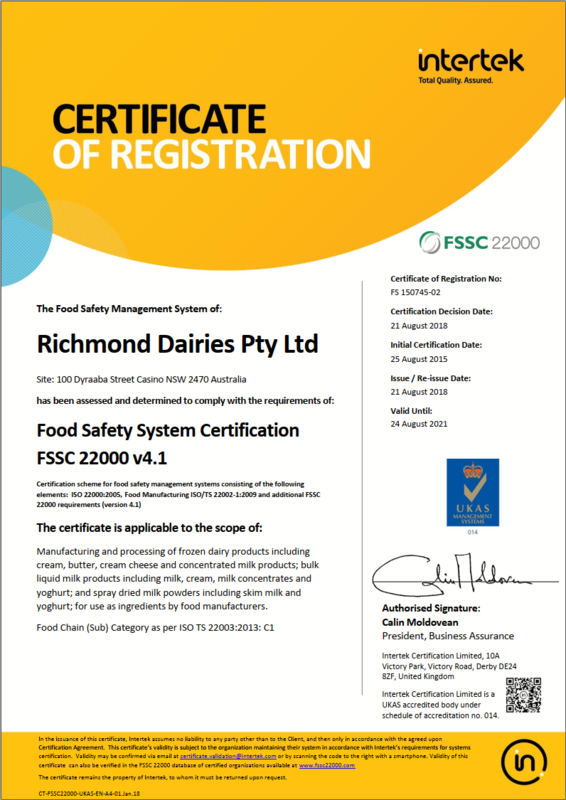 All dairy product factories, vehicle vendors, dairy produce stores, milk stores, milk collectors and dairy farmers are required to hold an Authority Licence to operate. 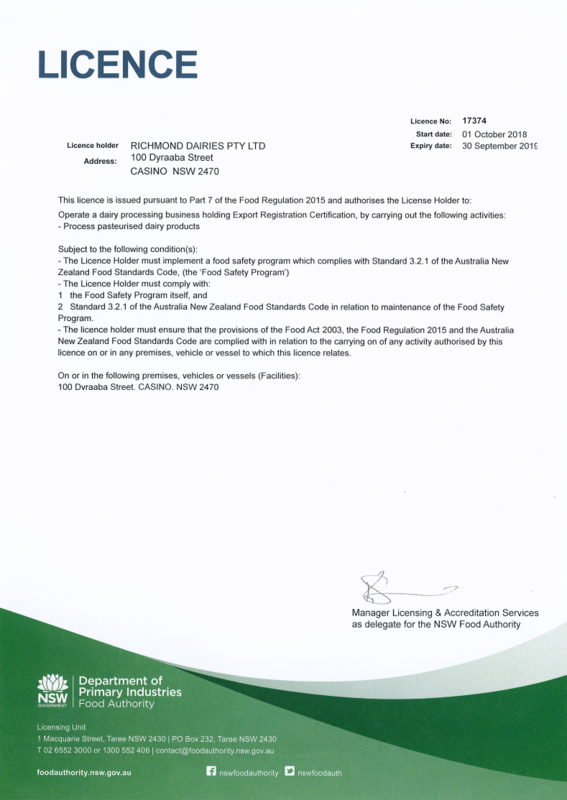 Provides export inspection and certification services to help retain Australia’s highly favourable animal, plant and human health status and wide access to overseas export markets. 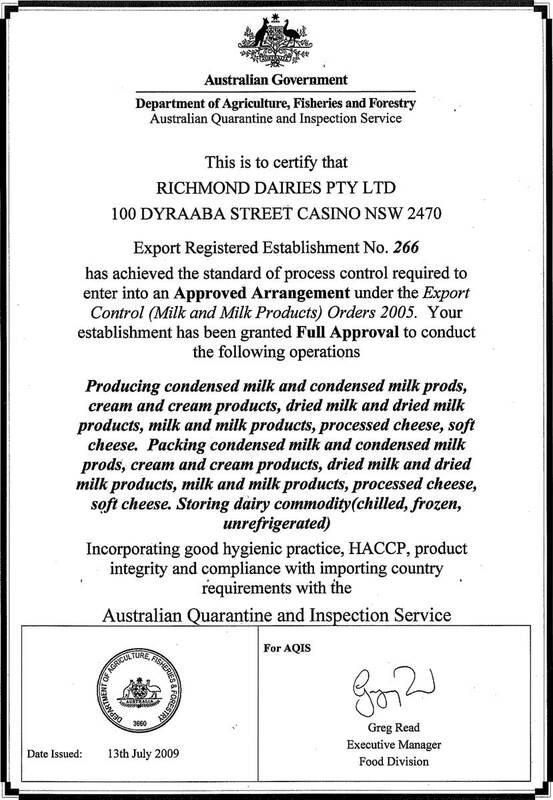 As of February 2008, NSW had a total of 2346 dairy licences for operations from farm gate to the back door of the retail store. 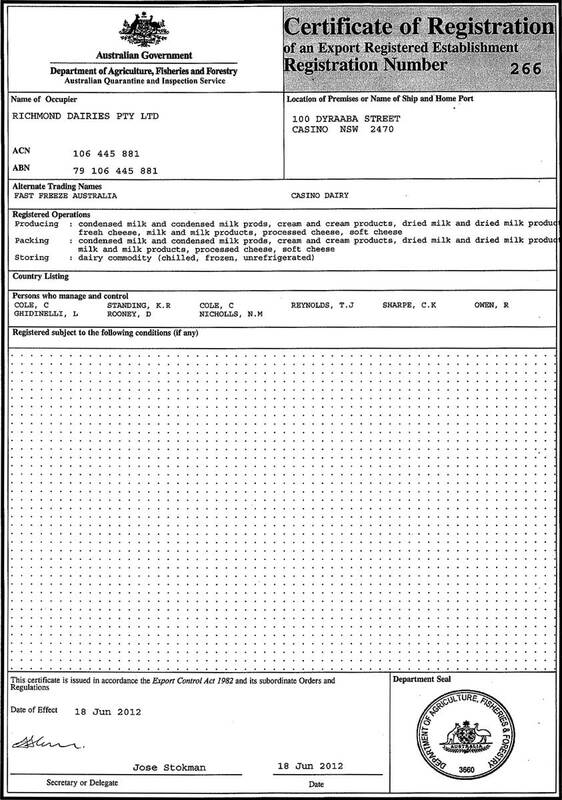 This includes 915 dairy farms producing 130 million litres of milk each year as well as over 100 dairy factories and 980 milk vendors. 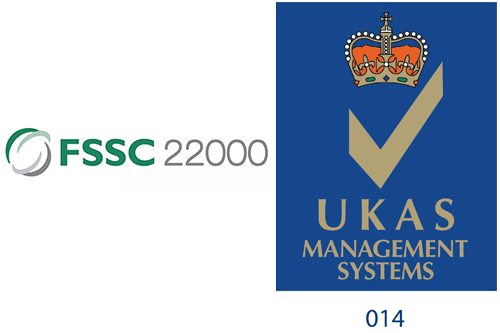 Certification scheme for food safety management systems including ISO 22000:2005; ISO/TS 22002-1:2009 and additional FSSC 22000 requirements (version 4.1).